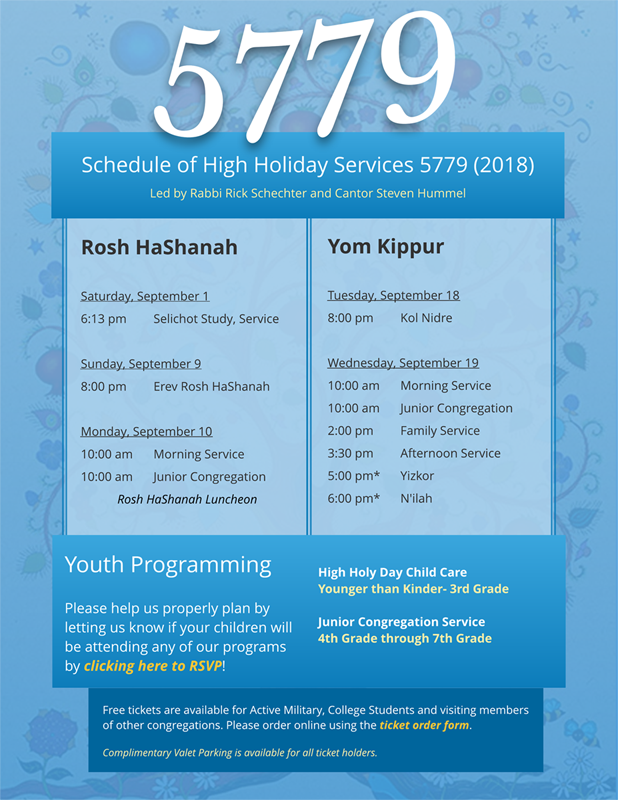 The High Holy Days are a time of prayer, reflection, learning, and re-connection. Join our congregational family for a spiritual, meaningful, and engaging High Holy Day experience. Temple Sinai offers services and programs for adults, teens, children, and families. All services are held at Temple Sinai of Glendale in our beautiful sanctuary. We welcome members of the greater community to join us for our High Holy Day Services. please call the temple office at 818-246-8101.